Do you envy soft and shiny hairs when you have rough or color treated hairs? The one way to achieve these hairs is to treat them from salons which will last for two to three weeks and can be little pricey. However you don't need to go to salons every other month for these treatment. With good products and a right way can help you to get good hairs at home. 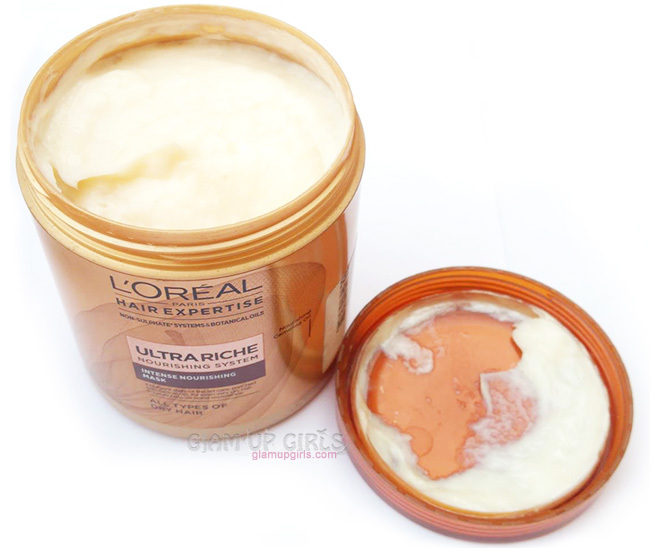 As i have bleached and colored my hairs and i have to face untamed rough looking hairs which no amount of oiling can get you rid of quickly, i have discovered to do hair treatment at home with few L'Oreal products and i loved the results. Let me tell you in detail about products i use and how to do it properly. Elvive Extraordinary Oil- Oil Replacement, the 1st hair cream infused with Oleo-Keratin and Argan oil that deeply nourishes your hair with its creamy texture leaving it healthy, smooth and shiny. Breakthrough light weight formula with Argan oil and Oleo-Keratin blended in cream to nourish hair from inside. Before Bath: Apply a generous amount on dry hair, and leave on as long as you wish then shampoo. During the Bath: Apply on shampooed hair then rinse. After the Bath: Apply starting from the tips and continuing along the lengths. On wet hair apply a small amount before blow drying. On dry hair reapply every day as a finishing touch for even more smoothness. The 6 Oil Nourish Shampoo has been created to provide complete nourishment to your hair from root to tip with 6 Micro Oils™making it soft, shiny, thick, strong, smooth and manageable. After using EverRiche Nourishing Shampoo, spread a walnut sized amount of L'Oréal Paris Hair Expertise EverRiche Nourishing Intense Mask carefully through wet hair, focusing on the ends. Leave it to work for 3 to 5 minutes. Rinse well. Treat your hair to L'Oreal Professional's Mythic Oil Original Oil, a nourishing hair oil that provides weightless hydration and ultimate frizz protection. Infused with vitamin-rich avocado oil and antioxidant grape seed oil, the mythic oil is suitable for all hair types and expertly tames frizz whilst delivering lightweight nourishment and mirror-like shine. 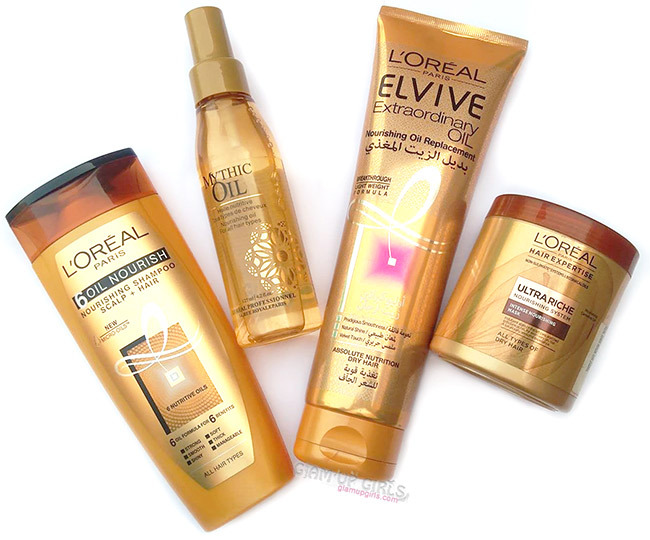 These 4 hair products will help you to get soft and shiny hairs and we have been using them and loved the result we got. 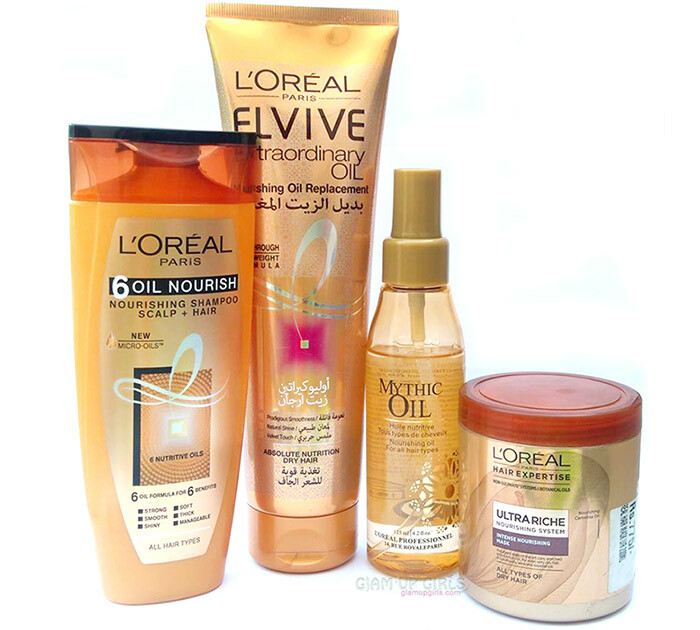 These products include L'Oreal elvive extraordinary oil replacement cream, L'Oreal 6 oil nourish shampoo, L'Oreal hair expertise ever riche intense nourishing mask and L'Oreal mythic oil. All these products smell amazing which remains for quite long. I use all four products after three to four hair wash and in between use one or another to keep hairs in better condition. I have found the best way to use these products for hair treatment which i am going to share step by step. 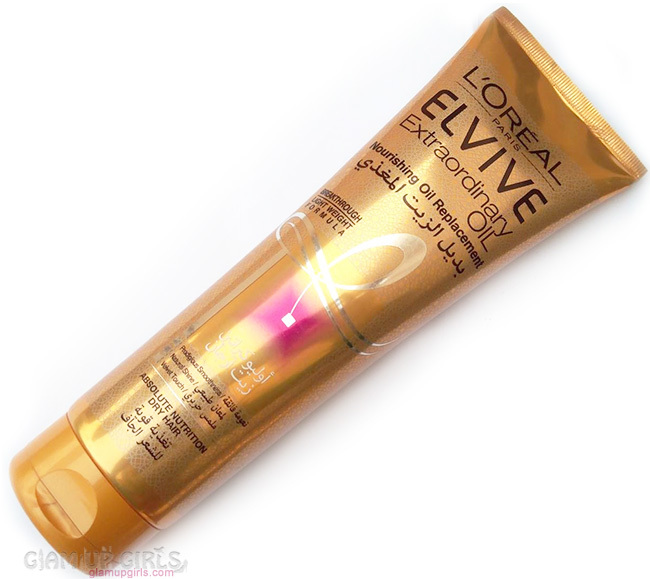 First apply L'Oreal elvive extraordinary oil replacement cream on combed hairs starting from roots and moving towards ends. Apply this cream lightly and do not pull or rub the hairs with palm, instead apply it with fingers. You can leave this cream as long as you want from 20 minutes to overnight. Before washing comb your hairs with light hand starting from ends and then roots. 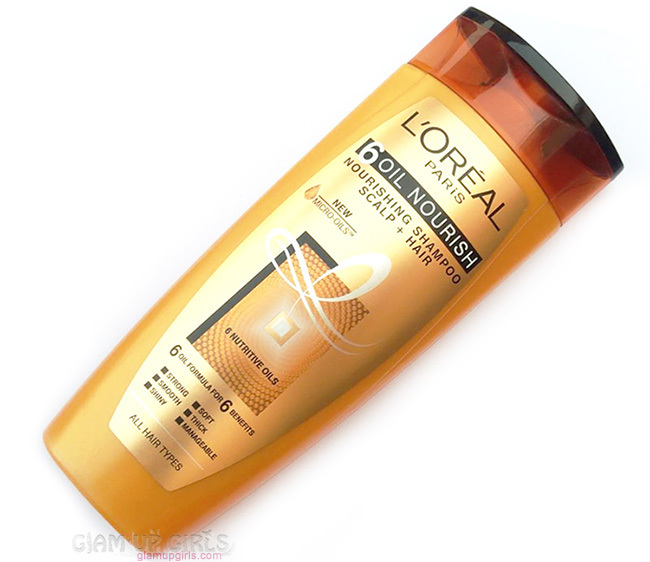 Wash your hairs with L'Oreal 6 oil nourish shampoo. I like to dilute the shampoo in little amount of water which help the product to spread properly and cleanse hairs better. After shampooing dry your hairs to 60% with towel. Never rub your hairs in towel instead pat and press them to squeeze the excessive water. If your hairs are tangled, it is better to comb them but i am sure at this stage hairs wont be badly tangled unless you have very coarse hairs. Now apply mask as you applied oil replacement cream. Part hairs and apply mask in small portions start from root and moving towards end of strands. Focus on each portion and apply the product properly to each strand. Do not rub with palms or pull hairs, instead treat them delicately. Make a light bun or fold hairs on head and wrap it in shower cap. Use hair dryer to apply heat for few minutes which will act similar to applying steam. You can also use hot towel wrap instead of shower cap and hair dryer. Leave the mask for 15 to 20 minutes. Now wash mask from hairs with luke warm water with lightly massaging the scalp and hairs. Pat dry hairs with towel to remove excessive water. 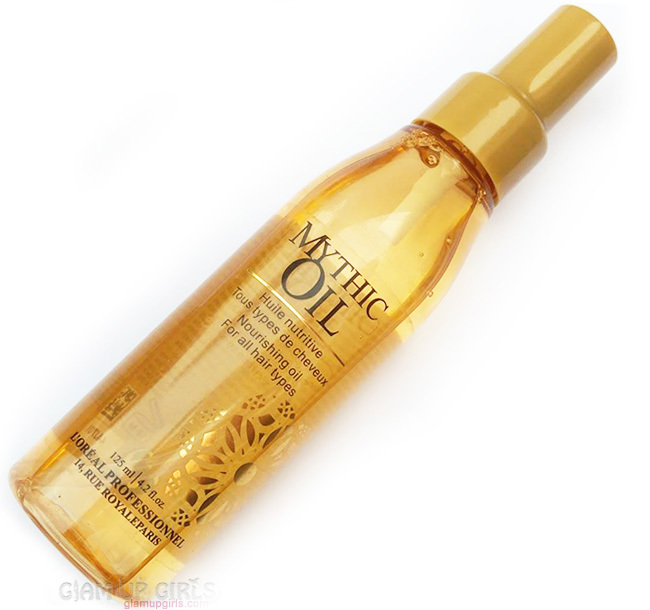 Once hairs are dried up to 60% apply L'Oreal mythic oil on strands focusing on ends. At this step you can leave the hairs to air dry or you can use blow dry or hair straightener. These 5 steps can be done as often as depending on the condition of your hairs. They will give your hairs glossy shine and softness which you cannot help but touch again and again. I strongly suggest to treat your hairs delicately and avoid pulling or using palms while applying any product. Also it is better to use wide teeth comb instead of brush. During normal hair wash you can apply oil replacement cream before or after shampoo and use mythic oil to tame flyaways. Let me know which products or treatment you use for glossy and soft hairs?